Throw your little Flashing Moody Mate at the wall or floor and watch their reaction. Observe their crazy hair muddle up and flop all over the place, while their bodies flash a rainbow of colours. 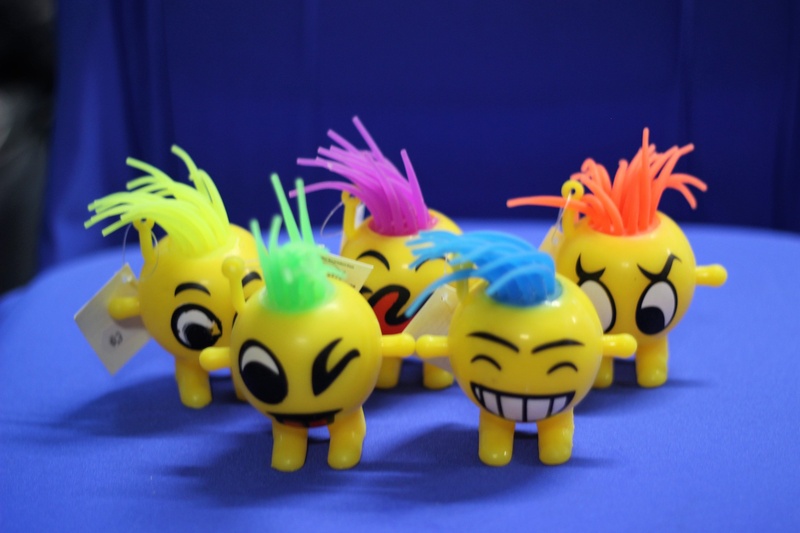 These little guys are funny cute and like to express themselves, make one your mate today! Each with individual facial expression and individually coloured hairdo! Flashing coloured lights inside.